This is what happens when there are no Black people in the room: you create racist content that gets your company blasted on social media. 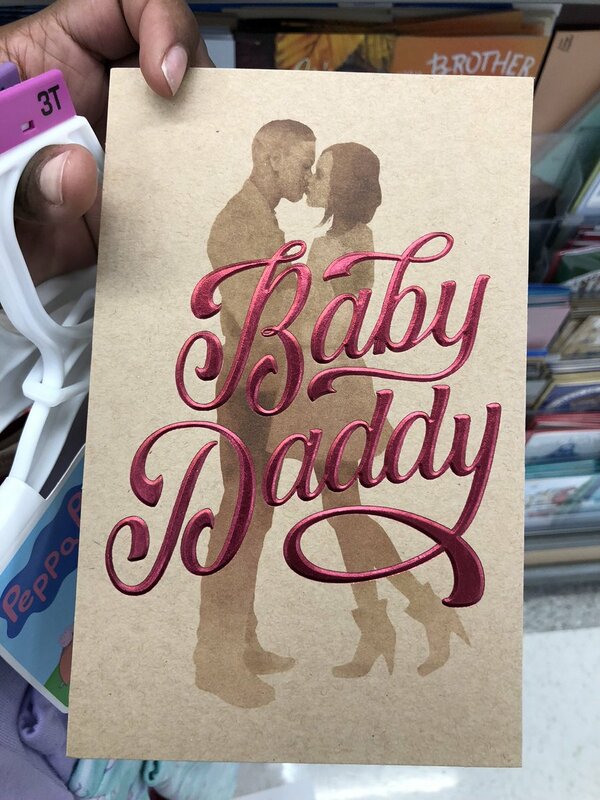 @target The term "Baby Daddy" can and does apply to fathers of ALL races. But at the same time, "Baby Daddy" is just plain GHETTO. PERIOD! Stop trying to follow trends, society and social media. Just be TARGET. "American Greetings" should be ashamed of themselves. BOYCOTT!!!!!!!! Sounds like a weak apology. Taken out of context? The context is accurate, people on their creative team thought this would be a fabulous idea and they were ridiculously wrong.